Your Phone Tells Me You Were In An Art Museum, Now You Are In Starbucks…. Last month NPR had a story discussing how lawyers were sending ads for their services to people in hospital emergency rooms thanks to technique known as geofencing which allows one to identify cellphones entering to certain geographic area. Geofencing is something retailers use to offer you coupons when you approach the area of their shops. The use around hospitals raises some privacy concerns. Everyone in the hospital is bound by law not to reveal information about your visit, but those gathering information from your phone signal are not. Once someone crosses the digital fence, Kakis says, the ads can show up for more than a month — and on multiple devices. But Massachusetts’ attorney general, Maura Healey, offers a different response. This type of service is widely available and can be used for all sorts of useful purposes. If you can see that people attending your events are also frequenting various restaurants and other businesses in your area you are able to take any number of actions like coordinating promotions with the businesses or providing evidence of economic activity in your community. You can also geofence other arts organizations in your region as a way to identify people who are inclined to participate in arts and cultural activities and provide them with information about your own activities. Of course, the technology can assist in some questionable practices as well. 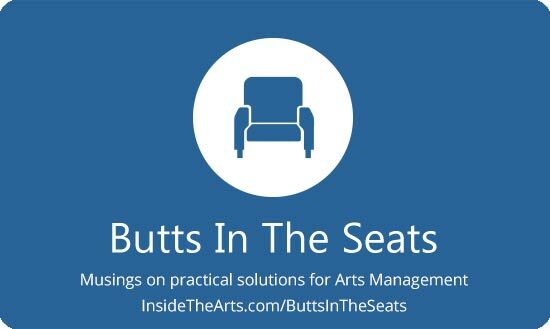 You might send general ads about “high quality performances at half the price and free parking” to people who have visited an arts organization in your area that charges higher pricing. Or you could directly disparage other organizations with people who enter or pass near their buildings. However, I imagine within a handful of years, you will be able to delineate your own geofencing using an online map and upload an ad from your office as you would to a social media site. It may be difficult to track who is attacking your reputation while people are buying food from your snack bar. I anticipate that there will be debates about the ethical use of techniques that allow marketers and others to track people’s movements as these practices become more common and wide spread.